When I agreed to review Cooking with Flowers, I was a little bit worried that the book wouldn’t quite be my speed. 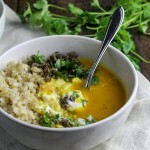 While I appreciated the unique concept, I was having a tough time picturing how I might incorporate flowers into my diet – where was I going to find food-safe flowers? Would it be expensive to source them? Would the recipes all be fussy and girly? Turns out that I needn’t have worried, as the recipes and techniques in Cooking with Flowers are surprisingly inviting. 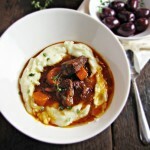 Organized by flower type, there were only a handful of recipes where I struggled to imagine an easily accessible source. Marigolds are popular and easy to grow, dandelions grow like crazy in pretty much every backyard I’ve ever seen, our house in Maine has an abundance of daylilies each summer, and squash blossoms are a byproduct of something I already grow. Other commonly found flowers used in the book include geraniums, herb flowers, lilacs, nasturtiums, pansies, roses, sunflowers, tulips, and violets. 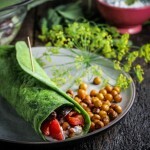 The only flowers included in these recipes that would be challenging for me to get access to are elderflowers, hibiscus, dianthus, and orchids, and even those aren’t too much of a stretch. Learning that so many of these common flowers are edible was exciting in and of itself – think of all the expanded possibilities they could bring to the kitchen! With my worries assuaged, I dove into the book. It’s a decidedly feminine book, with pastel colors and curlicue font, and in general, the recipes tend toward the sweet. Let’s just say that I probably wouldn’t give a copy to my dad (but I did give one to my mom for Mother’s Day!). 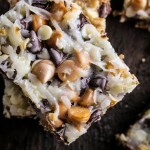 While recipes for cakes, cookies, and jellies were somewhat expected, some of the recipes really surprised me – Daylily Curry, Rosemary-Flower Margaritas, Hibiscus Chili Caramel, and Thai Orchid and Beef Salad stick out as creative and exciting uses of ingredients often thought of as sweet. I wish there had been even more of these out-of-the-box savory recipes, but the simpler sweets – Hibiscus Cream Pie, Elderflower Lemon Cakelets, Pistachio Rose Shortbread, etc. – are still lovely. I should point out two other things about the book. One, that some of the recipes are fairly time consuming. The time that it will take to find, clean, and process the blossoms of your flowers will vary with flower size, but it will almost always take longer than something like chopping an onion (especially since you frequently need a pretty large volume of flower blossoms). 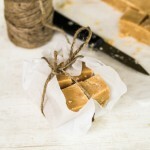 Two, a lot of the recipes rely on base flower recipes for their floral flavor – flower syrups, sugars, jams, and creams, the recipes for which are given in the back of the book, frequently need to be prepared before the main recipe. This is good and bad. Good, in that it allows you to preserve blossoms longer-term and think up other creative uses for them. Bad, in that it sometimes adds “hidden” time to the overall recipe time. The fact that you can cook with lilacs was totally irresistible to me. Lilacs are one of my favorite flowers, and their heady scent carries many fond memories of warm spring days. 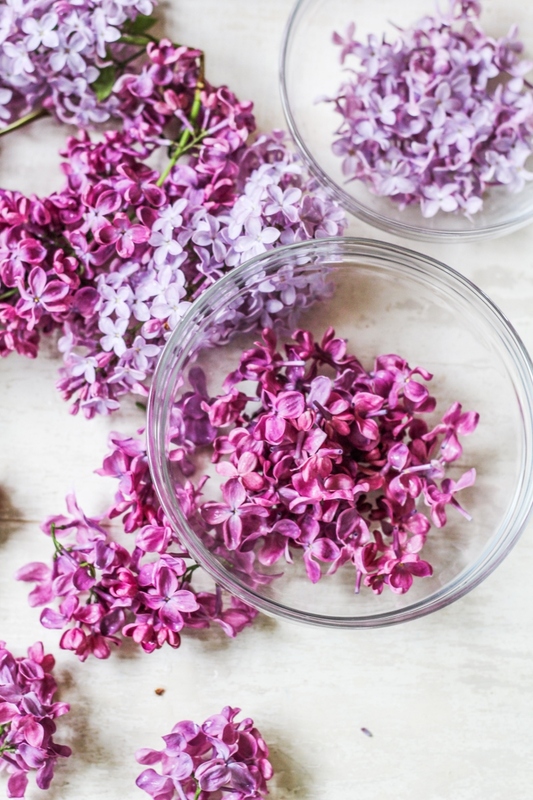 Since lilacs pass quickly, never staying open more than a week, being able to preserve their scent in sugars and sauces felt like a wonderful trick, and I sort of went all out with the lilac recipes to take advantage of this. A few hours of cleaning lilac blossoms later, I have lilac pavlovas, lilac-blackberry syrup, lilac sugar, candied lilacs, and dried lilacs, all ready to be used now or later in sweetly scented treats. 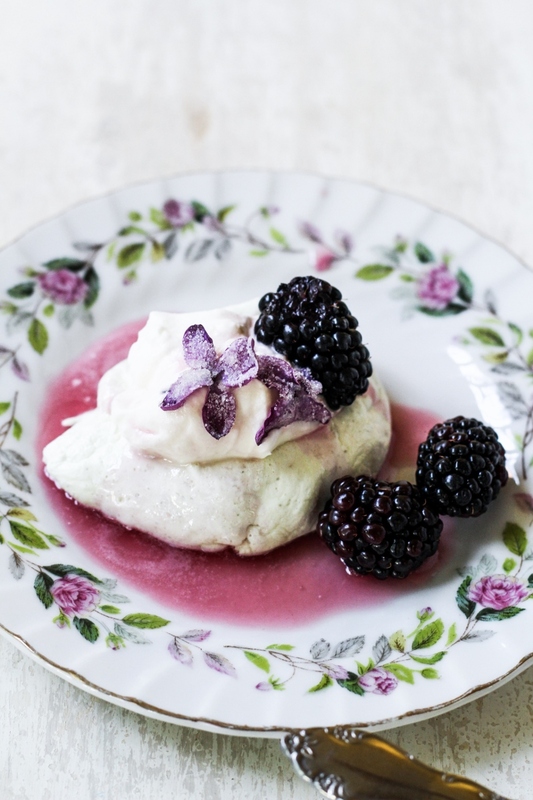 The recipe I’m sharing here marries almost all of these components – lilac sugar is used to make distinctly floral pavlovas (with a really great, chewy interior texture), which are then topped with whipped cream, fresh blackberries, candied lilacs, and the lilac-blackberry syrup. In the book, they serve the pavlovas with the syrup and a homemade lime sorbet, which also sounds delicious, but I chose to go the classic berries and cream route. All together the dessert was elegant, light, and uniquely flavored – a perfect and effervescent ending to a spring dinner. The bottom line: Cooking with Flowers introduced me to a completely new concept in a very accessible way. Many of the flowers used are easy to find in my backyard or around my neighborhood, and knowing their edibility is a revelation in itself. 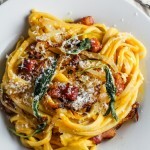 Generally the recipes tend toward the sweet, but the savory preparations are where the author’s creativity really shines through. Recommended for adventurous cooks and avid gardeners. Disclaimer: I received a review copy of Cooking with Flowers free of charge from Quirk Books. As usual, I was not otherwise compensated for this review and all opinions are my own. Adapted from Cooking with Flowers. Serves 4-6. Note: How to select and clean lilacs (adapted from Cooking with Flowers) – first, only use flowers that have been grown organically. Do not use flowers that have been sprayed or that are growing by the side of the road, as they may have absorbed toxins. Cut lilac bunches from a bush to be used. Wash each bunch, being careful that any bugs are rinsed off. Further separate the flowers into smaller clusters on a thin stem. Gently pull each flower from it’s sepal (the green part at the base of the flower). The lilac blossom should separate from the light yellow-green interior (see pictures above). One cup of lilacs will contain 40 to 60 individual blossoms. A single lilac bunch will likely yield between 1/2 and 1 cup of blossoms. Bring water to a boil. Place blossoms in a bowl and pour boiling water over them. Let stand for at least 2 hours and up to 24 hours. Add the flowers, flower water, sugar, and blackberries to a medium saucepan. Bring to a boil over medium-high heat. Boil for 6-8 minutes, stirring and squishing blackberries with the back of a wooden spoon. Remove from heat and strain into a glass container. Discard the solids. Preheat the oven to 210°F. Line a large baking sheet with parchment paper and set aside. Place the lilac blossoms and the sugar in a food processor and blend until pulverized. Mix 2 TBS of the lilac sugar with the cornstarch in a small bowl. Set the rest aside. In a clean bowl, beat the egg whites on high until foamy. Sprinkle with the cream of tartar, then beat continually on high, gradually adding 1 cup of the remaining lilac sugar as you go. 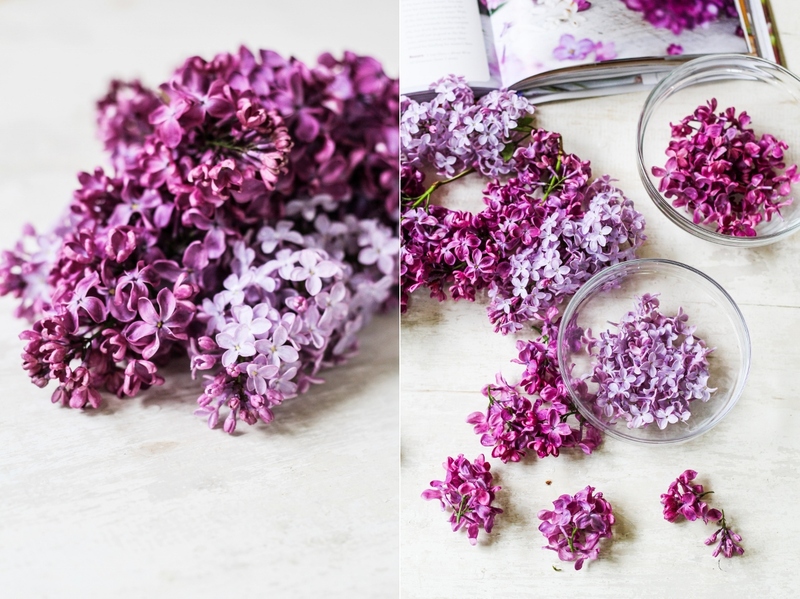 (You may have leftover lilac sugar – store it in a glass jar with a lid). Beat until the egg whites are stiff, shiny, and hold firm peaks. Fold cornstarch mixture and lemon juice into the whipped egg whites. Use a large spoon to dollop the egg whites into 3-inch rounds on the lined baking sheet, then use the back of the spoon to scoop out a small indentation in each pavlova. Bake for 1 hour, or until they feel dry to the touch. Turn off the oven and leave the pavlovas in there for another hour with the door closed. Place 2 pavlovas on each plate. 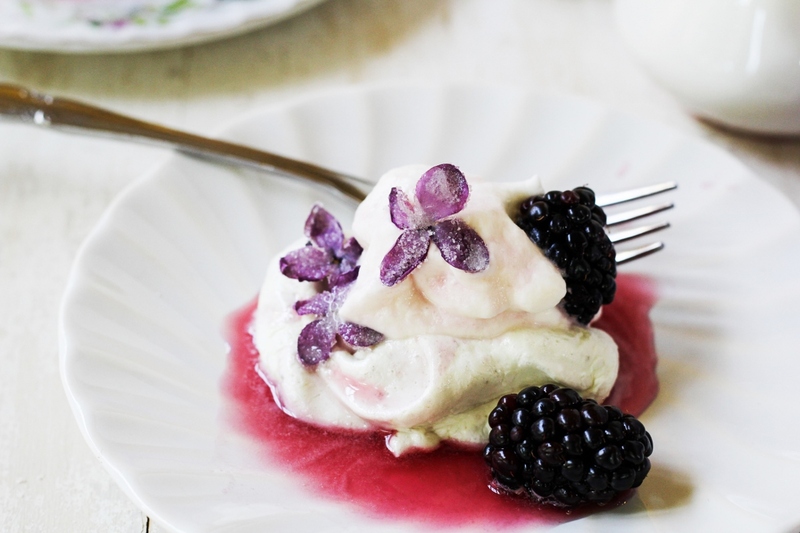 Top each with a dollop of whipped cream and a few blackberries. 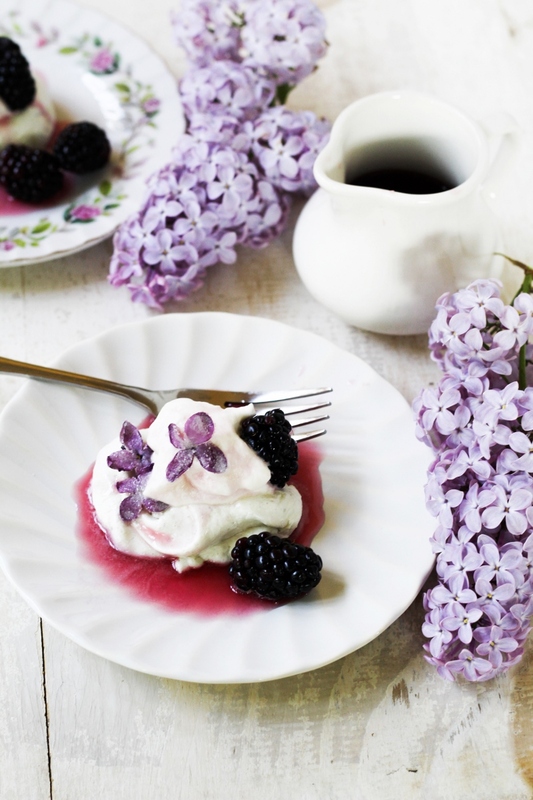 Drizzle with lilac-blackberry syrup and top with candied lilacs. Well, let me just state the obvious: Absolutely beautiful! seriously this is so tempting and beautiful. Love the lilacs and blackberries — so pretty! How gorgeous! I’ve tended to avoid sweet recipes with roses & the like but this is an inspiring push to take the plunge!